Modern style retro industrial dining tables and table sets with contempoary soft pad chairs. 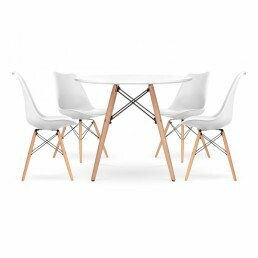 Charles Eames inspired dining set with soft pad chairs. The chairs are based on the cla..